You can grow your email marketing lists in no time using ProProfs Training Maker’s integration with Constant Contact. As soon as someone takes your course, you can automatically send their details to Constant Contact. Step1. Go to ProProfs Training Maker settings and activate the integration by selecting “Yes’’. Step2. Once you enable the integration, a pop up would appear. Click on "Next". Step3. 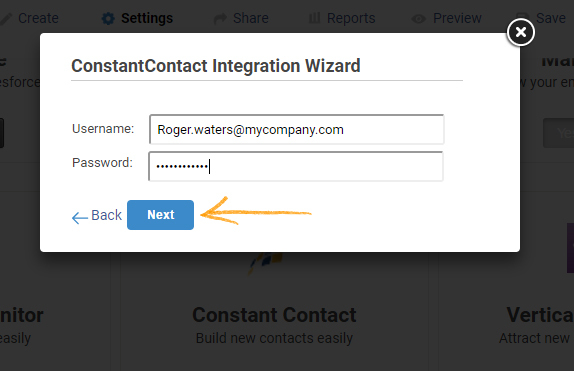 Authenticate your Constant Contact account with the login details. Step4. 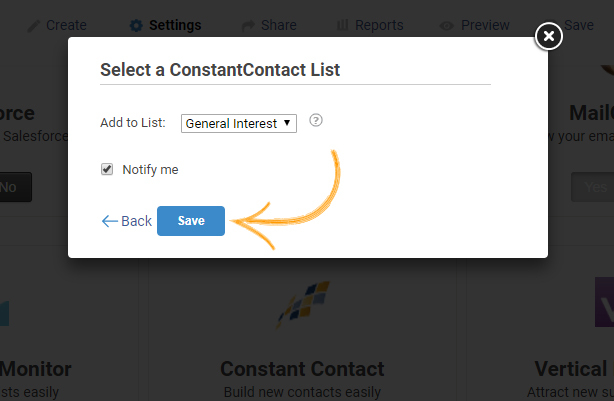 Select the Constant Contact list, which you want to update and click on "Save". 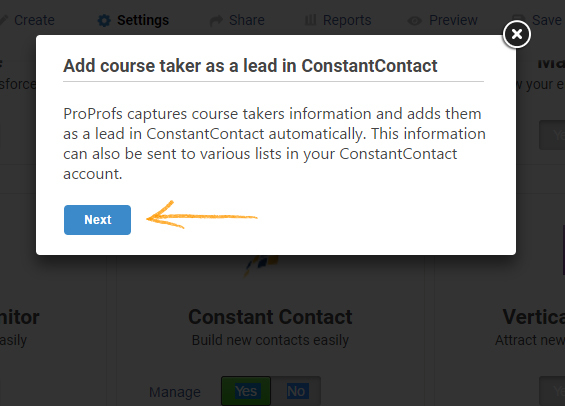 Note* The course taker's lead will be automatically sent to the selected list. Pls note - Here's how the course taker's details will appear in your Constant Contact account.